Iris... "An iris is like a rainbow, so beautiful is the bearded iris." 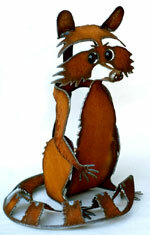 Hand crafted, three dimensional rusted metal single Iris garden sculpture. 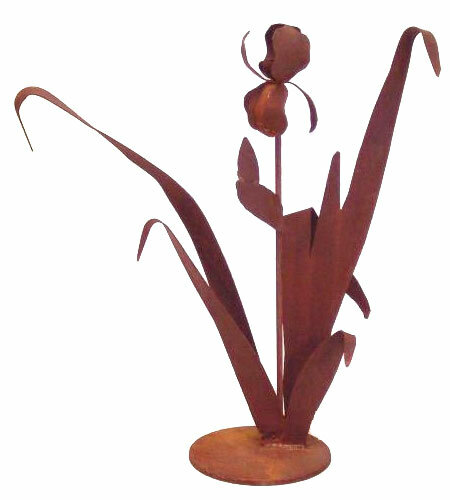 The rusted patina is unique to each metal Iris garden sculpture. The steel has been naturally rusted so the Iris will be rusty to the touch. The weathering process takes approximately 6 months, after which time the Iris will take on an even deeper color. For indoor use spray the Iris with a clear acrylic sealer first. Size: 25" high X 22" wide. Hand crafted / Made in the U.S.A.